COCONUT OIL AND ITS MANY BENEFITS! If you have never tried coconut oil, it certainly is time! I started using coconut oil 2 years ago when I went on my low-carb diet. Such a great and healthy fat! But you can do so much more with coconut oil, than just cooking or baking as it has so many benefits for you! Use a tiny amount and put it on the ends of your hair and you will get beautiful shiny hair! Plus it smells amazing (some coconut oils don´t have a scent- but the one by Islands Miracle has a wonderful natural light coconut scent). 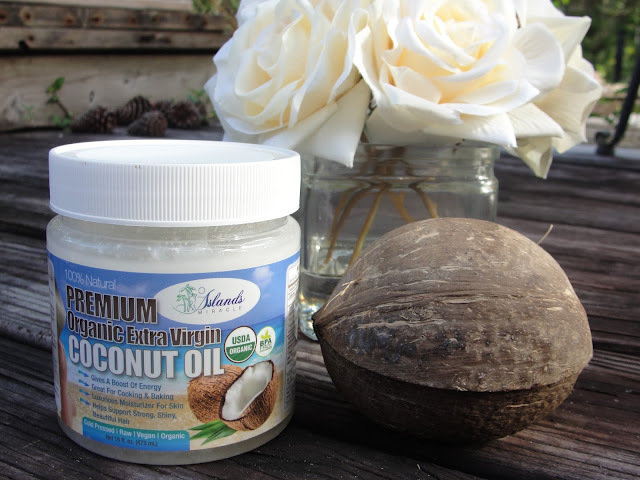 Coconut Oil is an incredible soothing natural moisturizing serum for hair. You can also use coconut oil as a hair mask (do it overnight with a cap!) as it softens and strengthens your hair and helps you to have full shiny and vibrant hair! 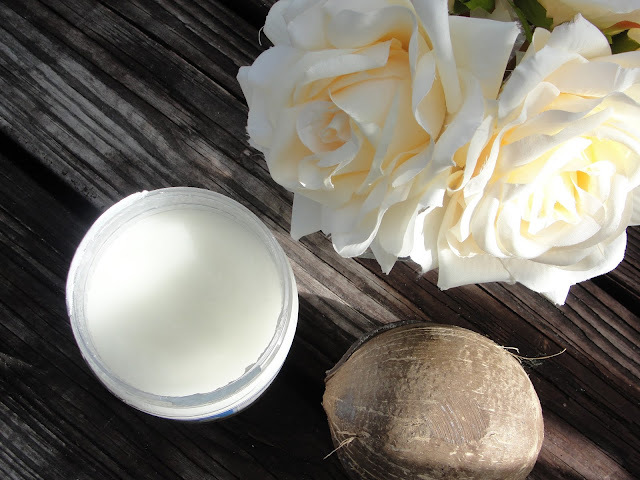 Natural skin care lovers know this since a long time but it slowly seems to be going around that coconut oil is a wonderful moisturizer and also a great natural makeup remover! I like to use a tiny amount around my eye area at night to moisturize my skin. If you use it to remove makeup, use a pea-size amount on dry skin and gently rub all that makeup off. Then remove it with a warm wet wash cloth. You will be surprised how gentle and effective this method is! Coconut Oil is an incredible soothing natural moisturizing serum for your skin and can also be your 100% Natural Anti-Wrinkle Cream! Daily Use can help You Lose Weight By Increasing Your Metabolism & Give You An Immediate Boost Of Energy Stimulating The Entire Body! It Can Also Help Improve Liver Function, And Helps Fight Off Viruses And Bacteria! Coconut Oil Is Great To Replace High Fat Butter & Trans-Fat (Bad For You) Oils For Cooking, Frying, & Baking! It’s a great way to get The Highly Sought After Multi Chain Triglycerides MCT’s That Are Linked To Many Health Benefits! 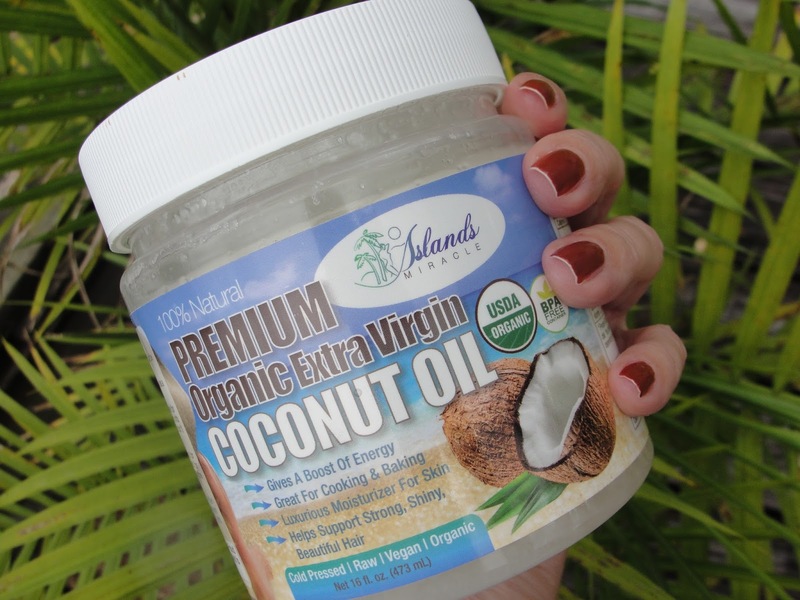 I highly recommend the Islands Miracle Organic Extra Virgin Coconut Oil because this oil is made of the highest quality and 100 % pure organic cold pressed and extra virgin coconut oil. It has a wonderful very light coconut aroma. Thank you Islands Miracle for sponsoring this post. I only recommend products or services I use personally and believe will be good for my readers. Read my full disclosure.